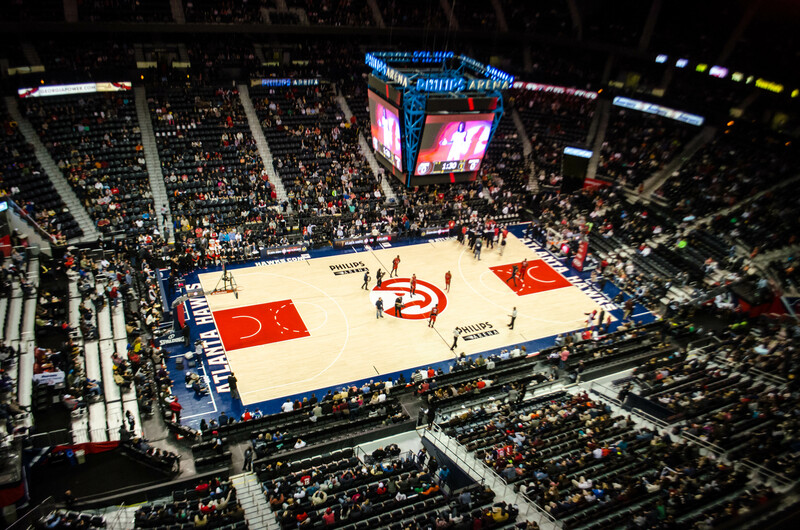 -Hawks own a 5-1 record at Philips Arena this season, the second-best home mark in the Eastern Conference. Atlanta is undefeated at home (4-0) against Eastern Conference opponents. –Paul Millsap is the only player in the NBA this year averaging at least 17 points, 8 rebounds, 2 assists, 2 steals and 0.9 blocks per game. -Over the last 5 games, Al Horford is shooting .705 FG% (31-44), hitting at least .580 from the field in each contest. Today’s contest saw the Atlanta Hawks against the #1 team in the East, the Toronto Raptors. With the Hawks at #4 and holding an undefeated record at home against Eastern Conference foes, fans were hopeful the Hawks could chip away at their 1st place lead. The 1st Quarter can be summed up in two words: DeMar DeRozan. DeRozan went off in the 1st shooting 100% overall. That means FG shooting, 3PT shooting, and free throws, perfection from everywhere. He totaled 14 points to end the Quarter. The Hawks’ response to the Raptor’s dominant 1st Quarter was Jeff Teague. Teague echoed DeRozan’s achievements shooting 100% in FG, 3PT shooting, and free throws as well as totaling 14 points. Whenever the Raptor’s lead started to grow, the Hawks kicked the ball to their outside threat Kyle Korver. Korver made three 3PT attempts to keep the Hawks in the game and totaled 9 points for the Quarter. With the help of Teague and Korver the Hawks were only down by 3 points to end the 1st Half 64-61. The Hawks gave their best effort to keep the momentum and the boost came from Al Horford. Horford went 5/5 in shooting and scored 10 points. But Horford’s efforts were not enough, as the Raptors ran away with the game in the 4th Quarter. Jeff Teague led the Hawks with a double-double, scoring 24 points, 12 assists, and a steal. Unfortunately, we didn’t see the contribution we’ve been used to as of late with Paul Millsap, who scored a paltry 8 points. 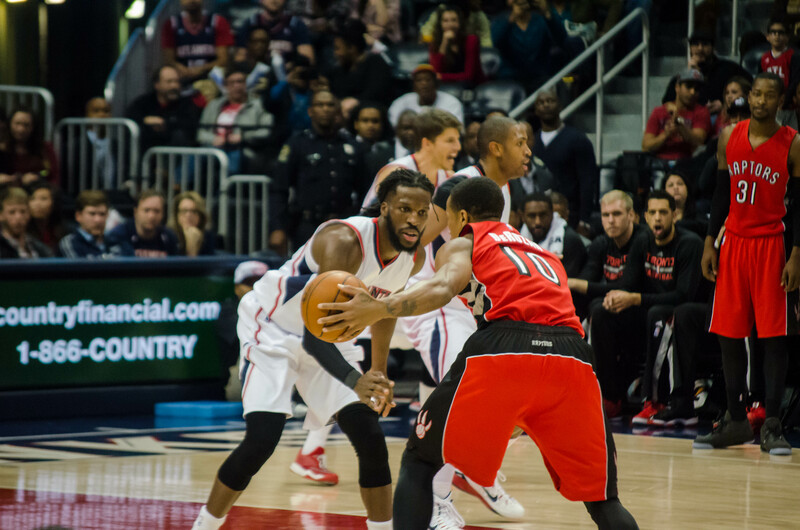 Al Horford finished with 23 points, DeMarre Carroll had 14, and Dennis Schröder put up 13. 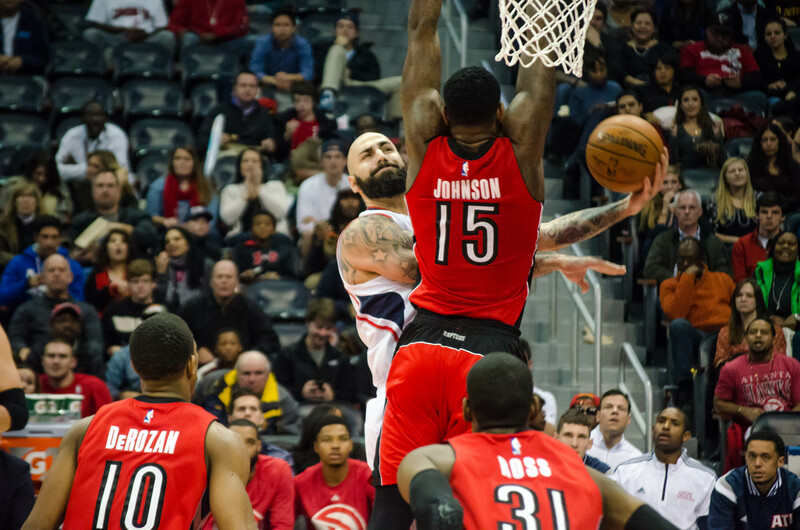 -Atlanta score 115 points which is a season-high in points scored in regulation. -The Raptors scored a season-high 126 points and shot .512 from the field. -The Raptors are 4-0 when they shoot .500 or better from the floor. –Kyle Lowry tallied his third double-double of the season.